SSC CHSL (10+2) Recruitment 2017 Last Date-18 Dec 2017: SSC has issued a notification for the recruitment of Combined Higher Secondary Level (10+2) Examination. Interested candidates can apply by 18-12-2017. Other details of Post Like Start Date of Application, Closing Date of Application, Number of Posts, Age, Qualification, Application Fee, Location, Official website link and How to Apply are given below. JSSC Radio Operator Competitive Examination 2017 Admit Card: JSSC has issued the Admit Card For Radio Operator Competitive Examination 2017. Post name or Exam Name, Download link, Date of Examination, Number of Vacancies and Official Website link are mentioned below. SSC Combined Higher Secondary Level Skill Test Admit Card 2017: SSC has issued the Admit Card For Combined Higher Secondary Level Skill Test. Post name or Exam Name, Download link, Date of Examination, Number of Vacancies and Official Website link are mentioned below. JSSC Sub Inspector (SI) Mains Admit Card 2017: JSSC has issued the Admit Card For Jharkhand Combined Police Sub Inspector Competitive Examination 2017. Post name or Exam Name, Download link, Date of Examination, Number of Vacancies and Official Website link are mentioned below. 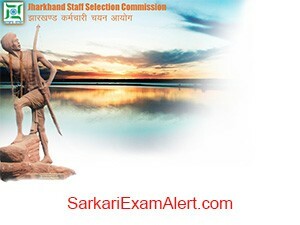 Jharkhand Police Radio SI Competitive Examination, 2017 Admit Card: Jharkhand Staff Selection Commission has issued the Admit Card For Jharkhand Police Radio Sub Inspector Wireless Competitive Examination. Post name or Exam Name, Download link, Date of Examination, Number of Vacancies and Official Website link are mentioned below. JSSC Recruitment 2017: JSSC has issued the Admit Card For Trained Graduate Teacher (TGT) post. Post name or Exam Name, Download link, Date of Examination, Number of Vacancies and Official Website link are mentioned below.